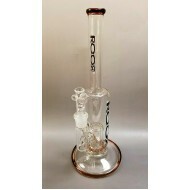 RooR has been a trailblazer of amazing water pipes. 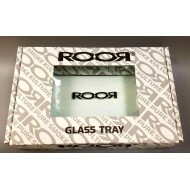 Started in Germany in 1995, RooR only cont..
RooR Crown Series. 14" and 18". collectable Roor item 18 mm RooR spliff adapter. An excellent addition to any .. 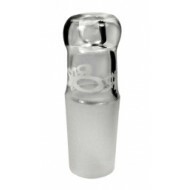 This water pipe from RooR Tech has a really nice feature in the fixed meniscus perc. 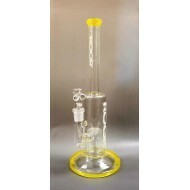 This perc..
RooR Tech Fixed Meniscus Tube with Lemon Yellow LIp and Foot Wrap. The Meniscus Perc on this RooR Tech tube helps to increase the smokes surface area that helps c..
Roor Tech Fixed Meniscus Tube with Rasta Label. Standout water pipe by RooR. Reinforced Stemless, mint green with a peekaboo window in the mid..
RooR Tech Mint Green Stemless Water Pipe. ROOR Tech Recycler Rig. Rock candy perc-TRF flush recycler with slit inline style perc 14 m..
RooR Tech stemless water pipe with chocolate colored lip and foot wrap. The meniscus perc acce..
RooR Tech Stemless Water PIpe. Rock Candy Design. Water Pipe by RooR. 14" Green Label. 7 mil. Straight Tube. 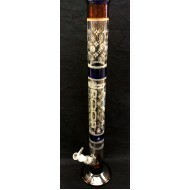 Glass pipes from RooR offer a prem..
Water Pipe by RooR. 14" Green Label. 7 mil. Straight Tube. Cypress Hill's Phuncky Feel Tips were created to provide avid smokers with a new, refined method and..
ROOR Louis V. 18/14. Dated and signed 4/20/08. Docs Smokeshop. Best in Baltimore. Great s..